New blood test has higher accuracy than standard screening for Down Syndrome in early pregnancy. A blood test undertaken between 10 to 14 weeks of pregnancy may be more effective in diagnosing Down syndrome and two other less common chromosomal abnormalities than standard non-invasive screening techniques, according to a multicenter study from UC San Francisco researchers. In the current study, which followed pregnancy outcomes in close to 16,000 women, the cell-free DNA blood test resulted in correctly identifying all 38 fetuses with Down syndrome, a condition associated with cognitive impairments and an increased risk of several medical disorders. The diagnosis was confirmed by newborn exam, prenatal or postnatal genetic analysis. The team state that the test focuses on the small percentage of fetal DNA found floating in a pregnant woman’s blood. DNA is amplified with a molecular ‘photocopying’ technique known as polymerase chain reaction, and sequenced so that comparisons can be made between relative amounts of each chromosome’s DNA. A greater quantity of DNA is indicative of some chromosomal conditions, including Down syndrome, which is characterized by an extra copy of chromosome 21, one of the 23 pairs of chromosomes. When the same women underwent standard screening in the current study, 30 of the 38 fetuses with Down syndrome were flagged, according to the study published in the New England Journal of Medicine. The screening comprises a blood draw in which hormones and proteins associated with chromosomal defects are identified, together with an ultrasound of the nuchal fold fluid in the back of the neck, an excess of which is suggestive of Down syndrome. The average age of the pregnant women was 30 and approximately one-quarter were over 35, the age at which women have traditionally been considered high risk and offered prenatal invasive testing with procedures like amniocentesis. A second compelling advantage of cell-free DNA analysis reported by the researchers was the relatively low incidence of Down syndrome misdiagnoses. While standard testing is acknowledged to result in a large number of false positives, these were significantly less likely with the cell-free DNA tool. There were nine false positives resulting from this method, vs. 854 with standard screening. While far fewer cases of two other less common chromosomal abnormalities were found in the current study population, the accuracy of cell-free DNA screening still surpassed the other standard screening method. Among 10 cases of trisomy 18, also known as Edwards syndrome, the cell-free DNA technique pinpointed nine and flagged one false positive. With standard screening, eight were identified and there were 49 false positives. For trisomy 13, also known as Patau syndrome, the cell-free DNA test identified both cases and flagged one false positive, while standard screening identified one case and flagged 28 false positives. Although the data findings suggest the superiority of cell-free DNA screening over standard protocol, the study highlighted areas of caution. Standard screening can identify risk for a broad array of abnormalities that are not detectable on cell-free DNA testing the researchers state. Cases of Down syndrome comprise just over 50 percent of aneuploidies, the disorders that result from an abnormal number of chromosomes, they noted. Additionally in the current study, a surprisingly high number of aneuploidies were present in the 488 pregnant women whose plasma samples were disqualified due to an inadequate or immeasurable quantity of fetal DNA, or assay failure or high sequencing variance that can lead to difficulties interpreting results. 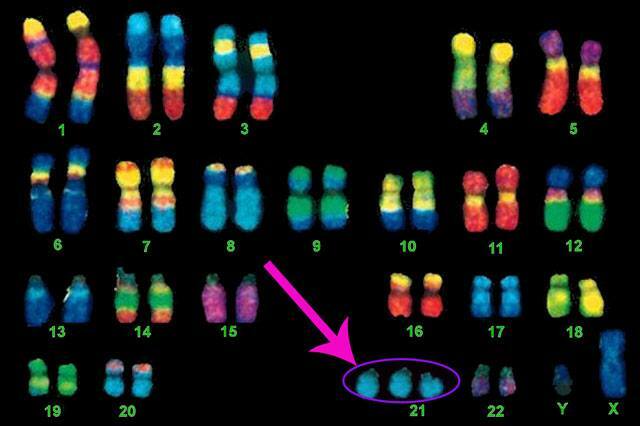 Some 2.7 percent of these fetuses had chromosomal defects, which included those that would not have been identified with the cell-free DNA technique. This was markedly higher than the 0.4 prevalence in the overall group. Had this disqualified cohort been included in the findings, the detection rates of the cell-free DNA tool would have been lower. The team state that use of the cell-free DNA test will result in far fewer false positives than current screening, and can consequently reduce the number of invasive tests and miscarriages attributed to them. However, patients should be made aware of its limitations. Providers need to be attuned to patients’ preferences and counsel them about the differences in prenatal screening and diagnostic testing options. The researchers surmise that those women who do opt for cell-free DNA testing should be informed that it is highly accurate for Down syndrome, but it focuses on a small number of chromosomal abnormalities and does not provide the comprehensive assessment available with other approaches. Counseling should also include information about the risks associated with failed tests and the pros and cons of pursuing invasive testing if no results are obtained.